Home › TRENDING › Editors Picks › 7 Sustainable Beauty Products to Try Now! At Oriflame we’re constantly exploring new ways to make our beauty products as environmentally responsible as possible. And this has led us to launch a number of products with amazing benefits. These are some of our Editor Jeanette Olsson’s favourites! Do you also need a shower to really wake up in the morning? Then you should try the energising Love Nature Mint and Raspberry Exfoliating Shower Gel. It has natural-origin scrub beads, which means that it won’t have a negative effect on our oceans. Plus, it smells divine! We all know the frustrating feeling of trying to brush out tangled hair. Split ends and damaged hair can be a nightmare, so a strengthening hair oil is key for lovely locks. Try the Love Nature Coconut Oil Hair Oil with excellent conditioning and nourishing properties. The Ecobeauty Face Cream, is both Certified Natural and Fairtrade, which makes it an obvious choice for this list. Infused with Arctic Lingonberry and Sea Buckthorn Seed Oils, full of Vitamin E, fatty acids and antioxidants, it helps your skin to maintain its natural hydration. 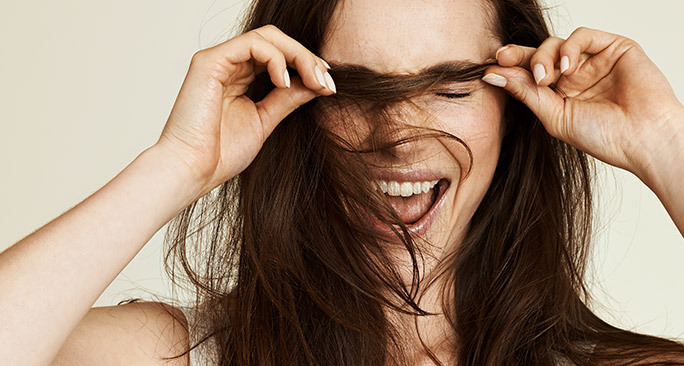 Who doesn’t want soft, healthy hair? And if there’s a responsible way to get it – then even better! The Love Nature Avocado Oil and Chamomile 2-in-1 shampoo, with biodegradable formula and no silicone, suits all hair types and is equally good for your hair and scalp. Need a quick moisture boost? Add a few drops of Ecobeauty Certified Organic Facial Oil to your day or night cream. With Cotton Extract and organic Argan Oil, it helps to deeply nourish and soften the skin. Did you know that we, on average, wash our hands more than 10 times per day? No wonder they get dry right! So, choose a caring liquid hand soap, like the one from Love Nature with Olive Oil and Aloe Vera. It’s also biodegradable! Our Ecobeauty Cleansing Milk and Ecobeauty Toner are both Certified Organic and gives you a deep cleanse, without being harsh on the skin.